Russell and Bruce Harris spoke to the club about the Numurkah Fishing Club's proposal for the construction of a jetty in the lake for fishing. Seeking support from Rotary for the project. Plans have been drawn up by the Shire with need to dredge part of the lake and to bring in a pylon driver. 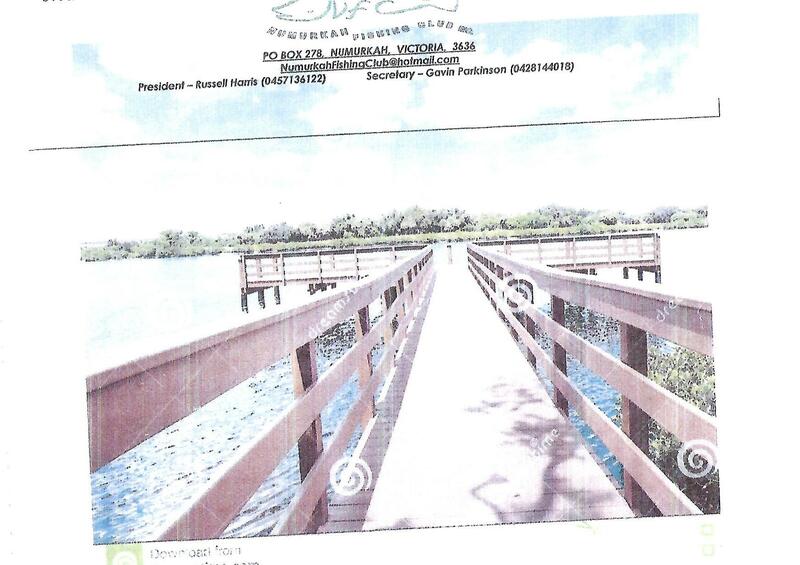 The jetty will be constructed of Murray pine and be an all ability jetty designed for wheel chair access. Approaching all service clubs and community groups for support, as jetty for everyone, not just the fishing club. 11,000 fingerlings released into lake so is well stocked, just needs access.